Perfect timing for me! Just yesterday I decided that I would learn the whole of Acts Chapter 7. I haven't inputted all the verses yet. Is that why it is not listed when I click on the new page? Also, is there any quick way to enter a whole chapter of verses in one go, rather than cutting and pasting them one at a time from Bible Gateway? Heather-Kate, I have heard tell Andy is working on this, but right now, only cutting and pasting. Btw, did you know you can hit your "control" button and then the "c" button to copy and the "v" button to paste? Not sure if that makes things easier for you or not, but I find it speeds things up considerably. Also, depending on your version, if someone else has already entered the verses, at the top when you enter a verse, Andy has added an "add next verse" option, which also speeds things up. And, yes, the chapters won't show up until you have added all its verses into your memory list. Yes, the chapter memorization page will only show chapters for which you have all the memory verses added. We might eventually add the same functionality for long passages which don't constitute an entire chapter but that is a long way off. Hopefully we'll have the chapter add functionality up and running soon but initially it will only work for chapters for which every verse has already been added. It will take quite a while to allow people to cut and paste entire chapters as that is a tricky programming task. Laurel, Thanks for pointing out the "add next verse" feature--I had not noticed that before!!! It's a huge help!...and thanks, Andy, for adding that feature! great i have promised myself that when i get to high school i would learn 1 Corinthians 13 and now i can do that with Memverse. Awesome idea, Kyle! I want to memorize Psalms 4 and 27 after the Bible Bee and now it's a lot easier! Thanks, Andy! This is great! I like how it all works. Hey, Andy! Enjoyed my first trial of the Chapter Review. Question: Can the verses reviewed in a chapter be arranged in one column? Research on reading techniques shows that a column of print is easier for the brain to process and retain than blocks of print set side-by-side. At the moment, my screen showing that I reviewed one whole chapter looks very confusing when completed. Just a thought to consider, since we're in this to help each other retain, love, and live the Word of God! Still great joy to do! L.B.K - I thought I had fixed the formatting problem but somehow it crept back in. Thanks for letting me know; it should be fixed now. This is awesome!!! It helps so much with whole chapters rather than one verse at a time. For some reason, the book of 3 John is not showing up for review under this section. I finished adding all the verses quite some time ago but it's still not listed for review. Any suggestions? Andy said on the feedback forum that the problem is the fact that certain translations have 15 verses while others have 14. He's supposed to fix it when he has time. The next 1 John speed quiz is Friday, March 4, at 9pm (EST) and will cover 1 John 1-5:10. I think a great feature for Memverse would be if we could listen to our Bible verses. Hearing things really helps me memorize things. If you just type in the reference of one verse in your desired chapter, more often than not there is a feature that allows you to add the entire chapter. This feature is limited, however, to only the most popular translations. yea, i'm memorizing psalm chapters 1, 2 and 23!! I am memorizing psalms chapter's 1,100, and 23 too!!!!!!! What are other Chapter's do you think I should memorize? Have you memorized The Sermon On The Mount? If not you should try it. It's a fun three chapters to memorize! Do you have any tips on doing it, Elaina? What are the chapters? The chapters are Matthew 5-7. I did Bible quizzing on Matthew so I studied it a lot and I just read the chapters over and over, and we have the Matthew movie and so I watched that a lot to. So maybe you can try memorizing it in sections, reading it over and over. Elaine, I finally found where I could respond to you. Last year someone mentioned Fighter Verses and I never forgot. I checked it out and love it. John Piper has done a great thing for memorizers. I am with a group of older ladies, and we are interested in memorizing. Only one has signed up. Hoping the others will also. We will memorize slowly, but hopefully we will all go forward. Christiana, how old are you, if it's safe to post? What do you mean by safe to post? l don't know. Sometimes people don't want to give that information out, so I just want to make sure that you're okay with giving that out. I am eleven almost twelve years old. Oh, so am I!! I mean I'm twelve. 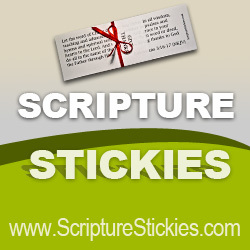 How do you tag verses? I am memorizing 1 Corinthians 13 right now! Thanks! Go MemVerse! Go, MemVerse Go! Go! Go! Go!